Ever since its inception, Evernote has been synonymous with online note-taking. 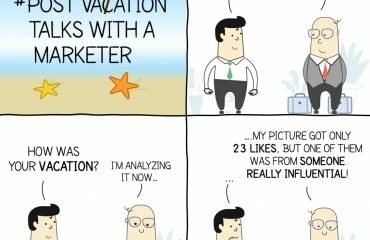 Whether an individual or a team, it is helping tonnes of people to capture thoughts in the world of an ever-increasing information. Lately, a large number of Evernote users are looking for other options for different reasons. If you are one of them, you’ve come to the right place. Down here is the list of top 11 Evernote alternatives worth trying. 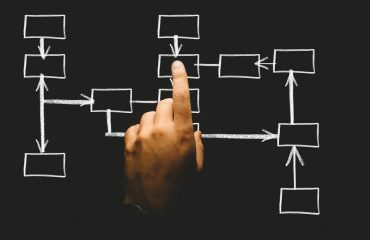 Mainly an all-in-one project management software but its efficient note management system is the perfect place to gather thoughts and ideas in one place. As an Evernote alternative, ProofHub Notes lets you capture your ideas, random thoughts, finalized plans, and all other important project information so that you don’t have to remember everything. Bring all your notes and documents together at a central place with ProofHub Notes. Try ProofHub Notes now! 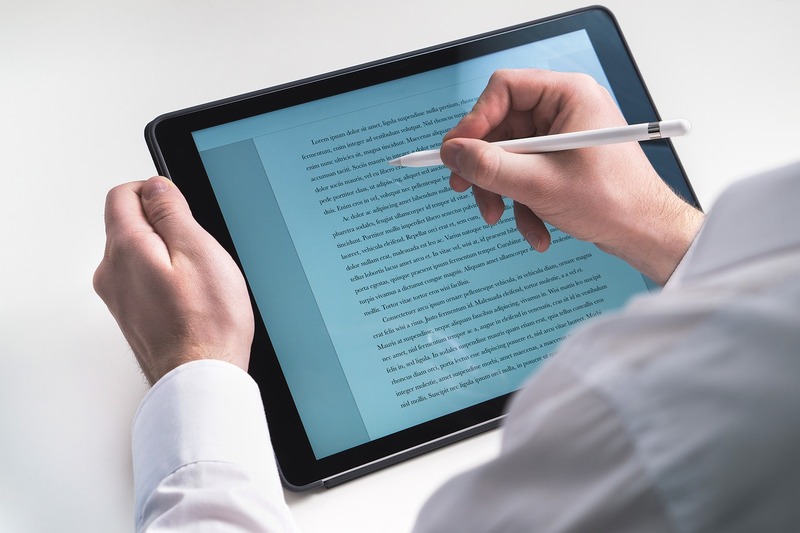 It has a powerful note management system that lets you color-code notes, make private notes, and add comments to collaborate over thoughts and ideas. With each notebook and note that you create in ProofHub, you get the option to pin them to the top. So, you can keep them accessible and save a lot of time. For all those who use Google products would find Google Keep as the best alternative to Evernote. Save your thoughts wherever you are and capture every thought conveniently. Add notes, lists, photos, and audio to Keep. Whether you need to pull up your grocery list or finish a to-do list, Google Keep lets you set a location-based reminder to make sure you never miss a thing. 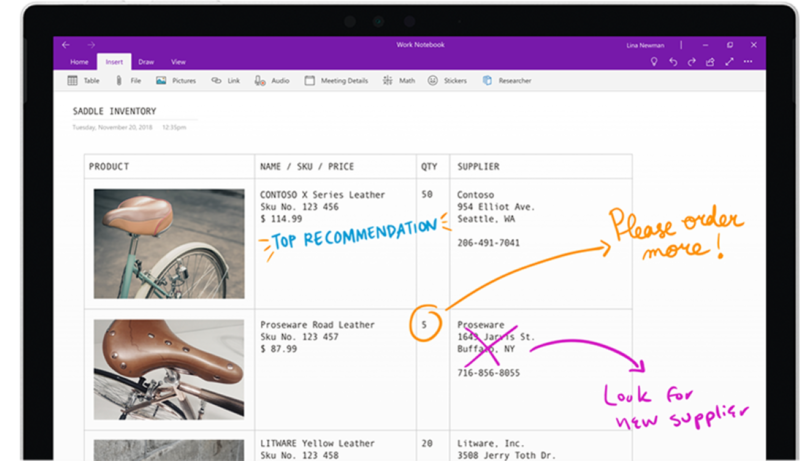 Microsoft OneNote is a note-taking and personal information management application that makes collecting, organizing and sharing digital information easier and faster. It’s a perfect Evernote alternative as it lets you store text notes, photos, audio, and video snippets in an organized manner. Sharing and searching notes with others is easier and stress-free. Its recent versions can sync automatically via Skydrive, making it easier to access notebooks and notes from any device – computer or mobile phone. As the name suggests, it is the simplest and fastest way to keep notes. You can use it everywhere as notes stay updated across all devices. Whether you need to find notes quickly with instant searching tags or share a list, post some instructions,publish your thoughts – this Evernote alternative can do it all. Type what you’re looking for, and your list updates instantly. You’ll never misplace an important thought again in Simplenote. It takes care of everything – backups, sharing, and syncing. CintaNote is a smart note-taking app making it a standout from other Evernote alternatives on the list. 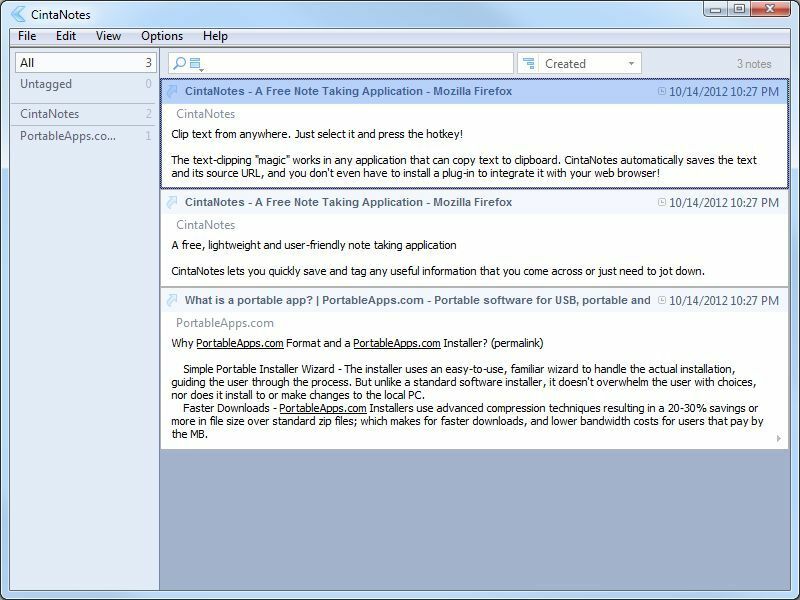 It captures text from any application, attaches files and images to notes, and synchronizes them on different devices. Unlike other Evernote substitutes, you can retrieve notes both online and offline, encrypt whole notebooks with passwords, and create automatic notebook backups. Other advanced features include text clipping, full-text search, configurable hot-keys, notes backup, hierarchical tags, password protection, auto-tagging and more. Platforms: Web, iOS, and Mac. 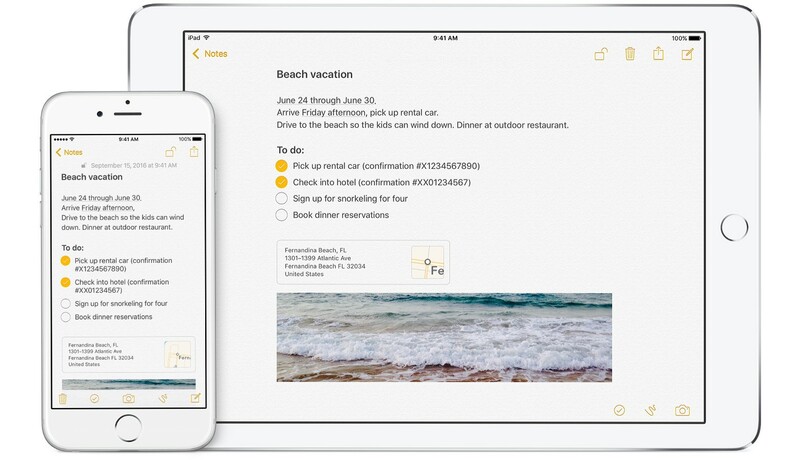 If you’ve been using an iPhone, iPad, or Mac computer, you’ve probably noticed that little notepad icon with the yellow paper to make a quick to-do, that’s Apple Notes for you. With the latest changes and updates, it has turned into a full-fledged task management tool. Its main features include organizing notes into folders, attaching photos and videos, inserting attachments, recovering and editing iCloud notes (deleted in the last 30 days), and locking notes with touch ID or a password. If collaboration has always given you a hard time, it’s time for you to try collaborative notes for your entire team. That’s exactly when Notejoy comes into the picture as a collaborative note management system. 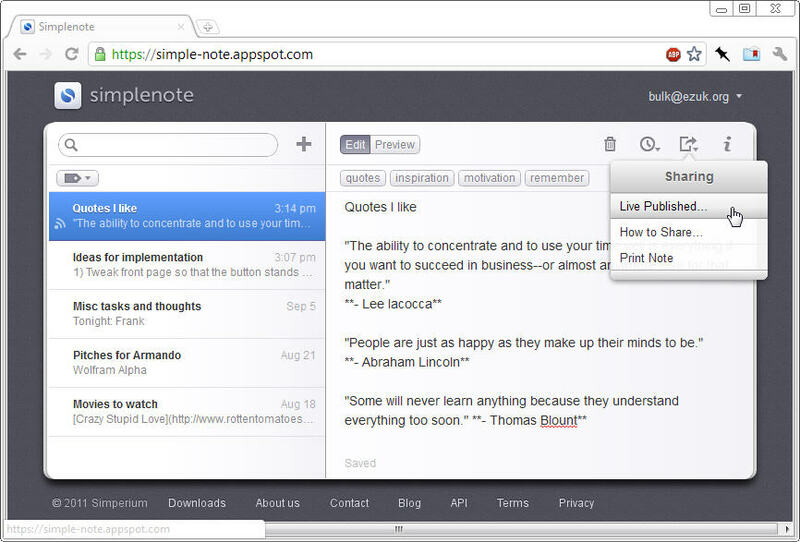 Writing it down is as fast as sending an email with Notejoy, so you can effortlessly share with the entire team. Giving and getting feedback is easy with note views, threaded discussions, and reactions so that everyone stays on the same page. Its impressively lightning fast search makes it easy to find what you need without much effort. Evernote alternative Dropbox Paper was initially known as Note. It is a collaboration app which mainly runs on shared Dropbox space to capture ideas, create documents, chat, and keep everything together. Paper’s smart formatting and simple, clean design mean you can create beautiful work―without spending hours on it. Paper is much more than a doc―it’s a workspace that brings creation and coordination together in one place. 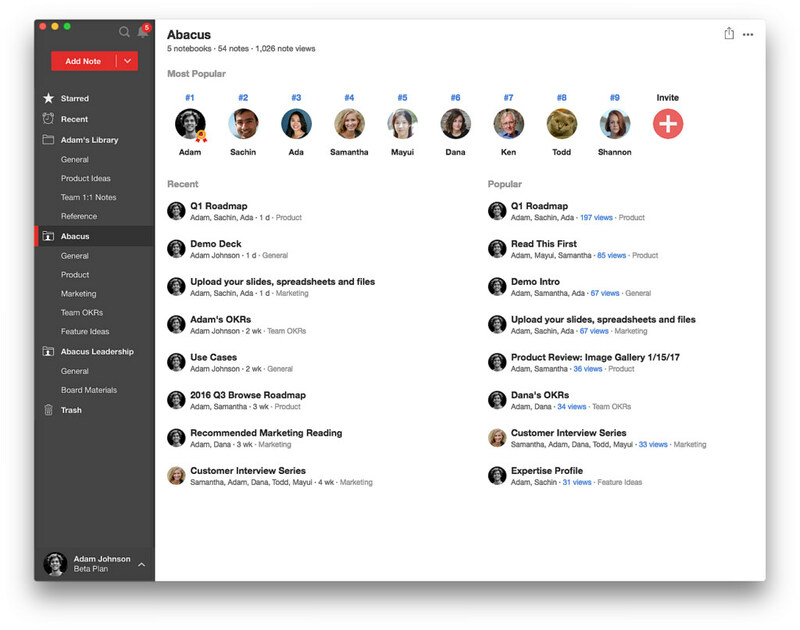 Write and edit, brainstorm, review designs, manage tasks, or run meetings. When you connect Paper to your calendar, it makes it easy to find the docs you need for each meeting. 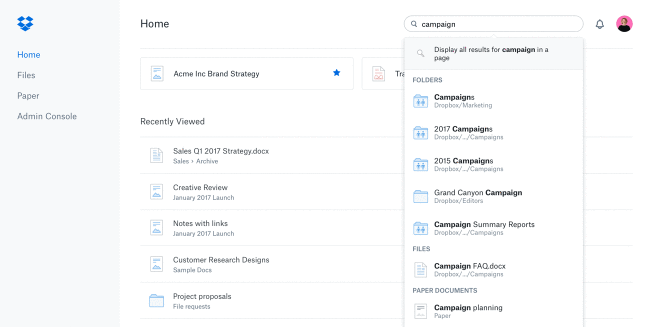 Quip combines documents, spreadsheets, checklists, and team chat in one place making it a killer alternative to Evernote. 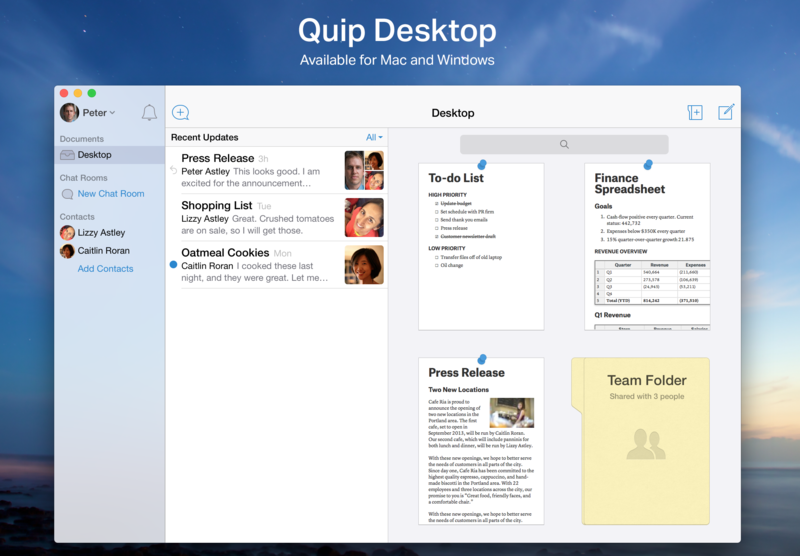 Quip docs are a single, live version that everyone can view and edit simultaneously. No need to call meetings or send multiple emails, get everyone on the same page with this Evernote replacement. Every Quip doc has real-time chat built right in. So your conversations, feedback, and decisions stay just a click away. Facebook, Dell, Amazon, are some of the companies moving faster with the Quip. Box Notes, an online note -taking app is making it easier and faster for teams to come together and work together. Take meeting notes, organize business reviews, or even write a newsletter, from any device. 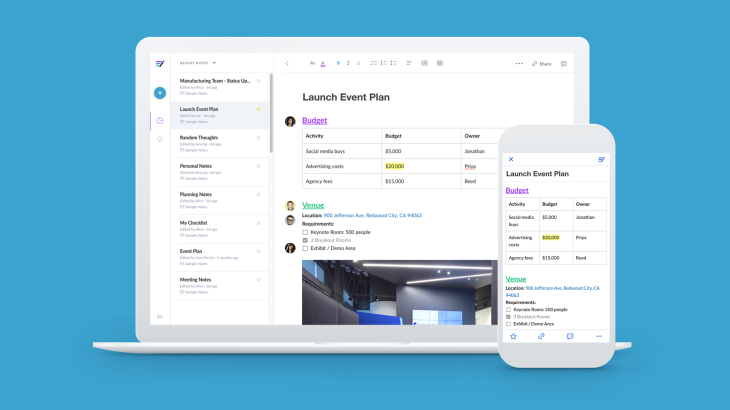 Box Notes makes it easy to create meeting notes, share ideas, track status updates and plan projects together — there’s no limit to your productivity. And, since every Box Note is instantly available on the web, mobile or your desktop, you can access your ideas from anywhere. Platforms: only available on iOS devices. 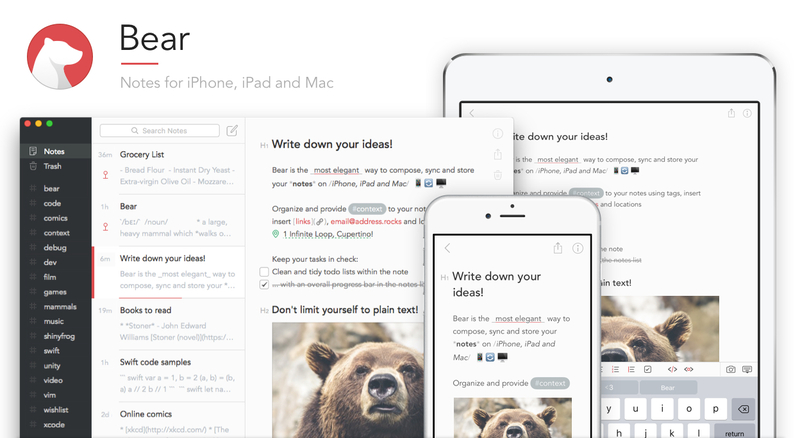 Bear is a beautiful and flexible writing app for crafting notes wherever inspiration strikes. It comes packed with some beautiful themes and typography along with an impressive range of features. 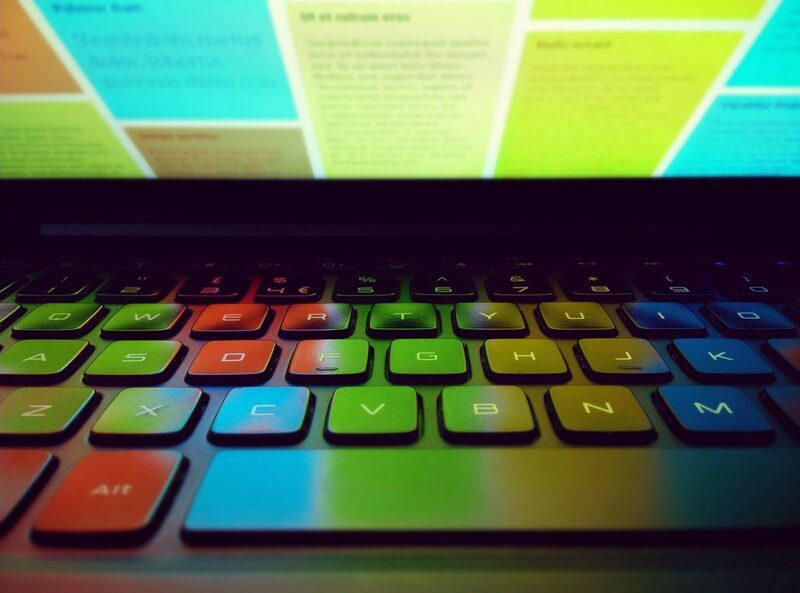 Simple tools like word count and reading time take the effort out of writing. Converting your docs/notes into PDF and Word Doc was never as easier as it is with this Evernote alternative. Not just this, with Bear’s custom markup shortcuts, you can add style and links with just a tap or keystroke. 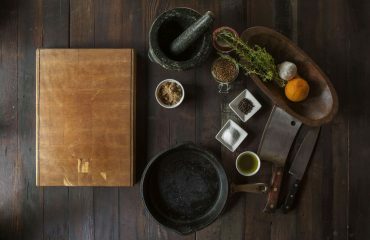 Take the ultimate control by linking notes to each other and using hashtags to organize the way you think.